JJ Watt is the epitome of hard work, dedication and sacrifice. Every day he works to outperform his competition through his tough fitness regime outside of the bright lights on the field. With the kick-off of football season here, JJ Watt will put his talents on display and lock in to perform at the highest level of his potential. Watt knew that his dream was to play professional football and that he’d have to push himself as hard as he could to achieve that goal. First comes belief and then comes the sacrifice. If enough time, sweat, and effort are put towards that goal, that lock in moment is achieved and you’re good to go. “I wanted to be here, I thought I could be here, and I worked to be here, so I’m here,” says JJ Watt. Whether he’s going for speed or working on his agility, JJ Watt’s workout starts with locking into a pair of Reebok’s ZPump Fusion. Click here to get the limited edition ZPump Fusion customized by JJ Watt. JJ Watt and Ronda Rousey are both dominate in their respective sports. Some of their success is due to their physical gifts and tenacity on the field and in the ring. Another reason for their dominance and all the accolades that they have attained is because of their training. Today JJ Watt unveiled his first ad campaign with Reebok, after announcing a partnership with the brand in April. In the video below that launches on August 1, Watt stars with Rousey looking to empower others to take a “Deep Breath” and ignite the fire within to get through the toughest of your workout. 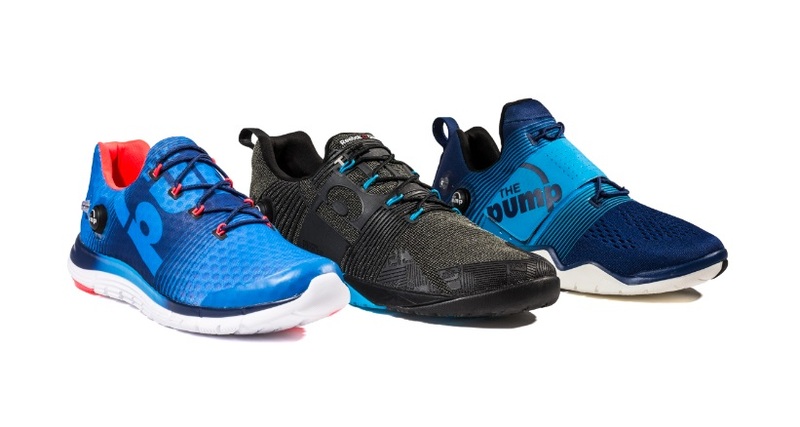 To help JJ and Ronda take fitness and training to the next level they use the new ZPump Fusion running sneakers, available for purchase at Reebok.com and Finish Line locations. A day before the ESPYs, Gatorade held its High School Athlete of the Year Awards in Downtown Los Angeles. The awards show was packed with the top athletes of today celebrating the achievements of young athletes primed to be the future stars of tomorrow. Gatorade has been honoring high school athletes for the past 30 years, and there are some pretty big names among the past honorees. Names like LeBron James, Dwight Howard, Candace Parker, Allyson Felix and Kobe Bryant. And that’s just the Gatorade Male and Female High School Athlete of the Year honorees. Previous Gatorade National Player of the Year winners include names like Peyton Manning, Derek Jeter, Emmitt Smith, Clayton Kershaw, Chris Weber and Alonzo Mourning. It’s distinguished company to be in, for sure. State Player of the Year awards are given to student athletes in 12 sports: boys’ baseball, boys’ football, girls’ softball, girls’ volleyball, boys’ basketball, girls’ basketball, boys’ cross country, girls’ cross country, boys’ soccer, girls’ soccer, boys’ track & field, and girls’ track & field. The students in each category are recognized for individual and team achievement, academic achievement and character and community service. From the pool of state players, Gatorade awards 12 students with National Player of the Year honors. From this pool of 12 athletes, one male and one female are selected to receive Athlete of the Year awards. Candace Hill was named Female High School Athlete of the Year. She was the first sophomore to take home the honor and the youngest athlete to ever win the Gatorade National Player of the Year award. She’s the first high school female athlete to run a sub-11 second 100-meter dash. She’s basically the fastest woman under 20 years old. Oh, and she has a GPA of 4.61. I can’t even imagine. Candace was competing at an event and was unable to attend the awards, but by all accounts she definitely deserves all the accolades. Kyler Murray won Male High School Athlete of the Year honors. The starting QB for Allen High School, Murray led his team to three straight state championships. The guy has never lost a game as a high school quarterback, going 42-0 in his career. In Texas no less. That’s crazy talk. He threw for more than 4,700 yards, 56 touchdowns and ran for nearly 1,500 yards and 25 scores. Murray is on his way to Texas A&M where he says he’s going to get some time on the field no matter what. Murray had a very quiet confidence about him. His acceptance speech was mellow and humble. But the dude knows he’s got what it takes to ball at the next level. Keep your eye on him. Hannah Storm hosted the awards and gave a heartfelt tribute to Stuart Scott, who had previously handled hosting duties for the event before he passed away this year. His daughters were on hand and gave their dad a great tribute as well, something they would do again at the ESPYs.